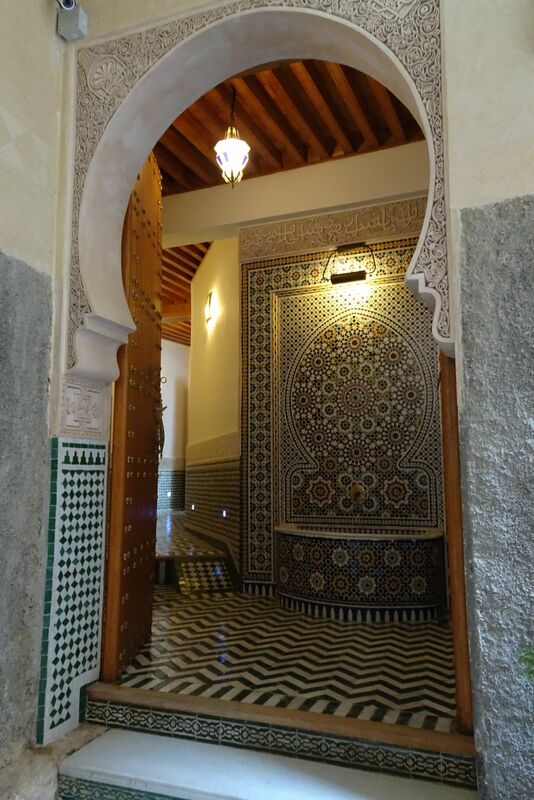 The riad offers 12 rooms and suites, all with modern comfort but with the spirit of the past: traditional tiles on the floor (the famous moroccan "zelliges") and tadelakt on the bathroom walls. 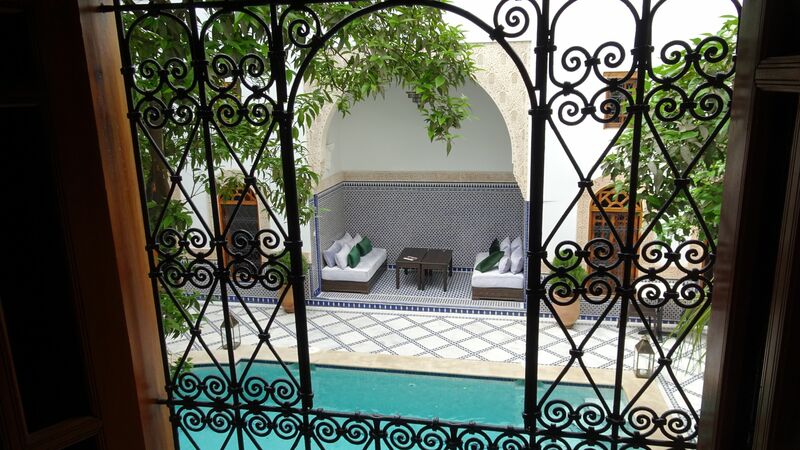 The swimming pool, the hammam and the amazing panoramic views on the ancient medina from the terrace make the hotel a unique place. Furniture and decorations, unlike in many riads in Fez, have been purposely choosen in a simple, even spare, sleek style in order to highlight local craftmen work. Stay with us! 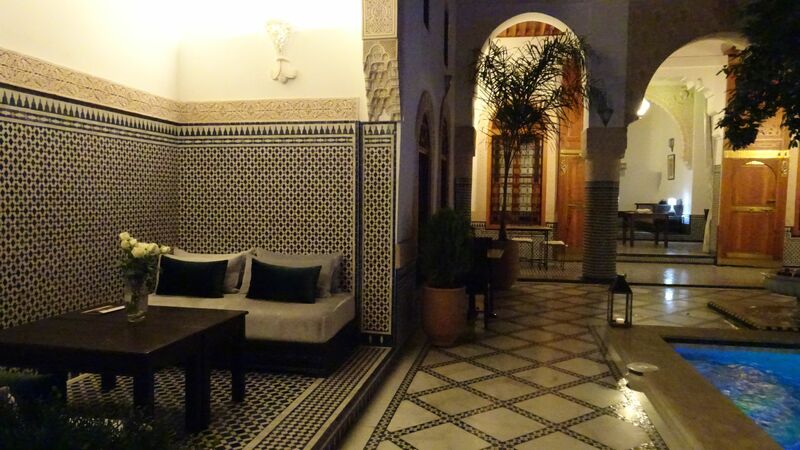 Experience all of Fez, old and new town and just outside the heavy cedar door of the riad. In Morocco, we like to be together, sitting and drinking a mint tea or a cup of coffee. 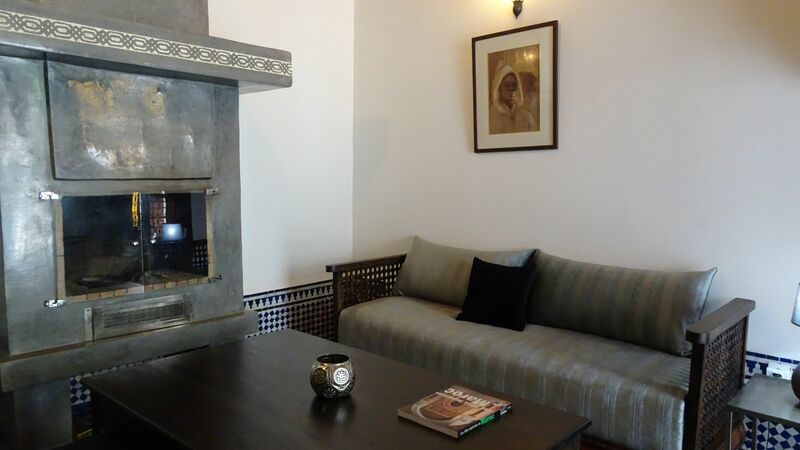 In Riad Sabah, like in every typical riad, there are two common places where you can sit and relax : in the "bakhtal" along the swimming pool and in the "bouh" inside of the restaurant at the front of the fire place. And of course at the terrace. with our friends and family." We would be glad if you join us in our living room to exchange with us, learn about our culture and also for us, learn about yours, so that after a while, you feel like home. 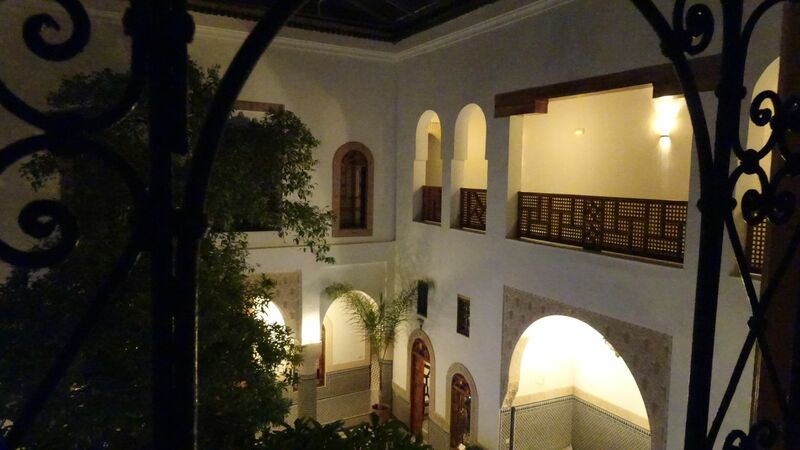 Our desire is that our riad will be yours, far from home. 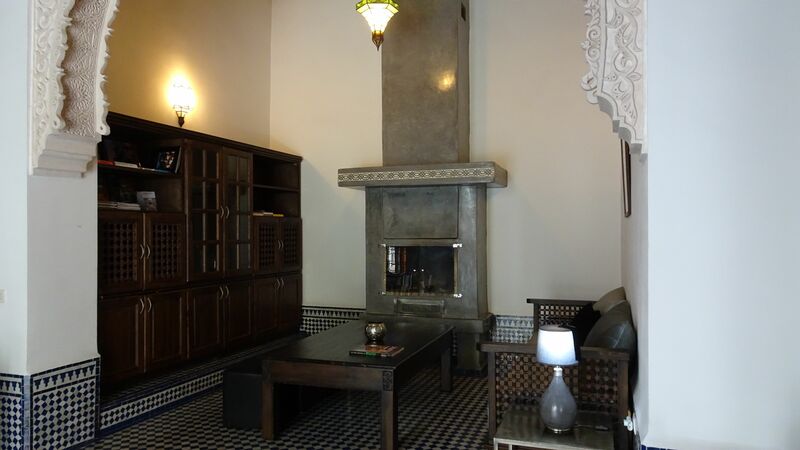 We designed our lounge so that it becomes your living room where you can chat, surf, read books from the library at the fireplace, watch tv while enjoying mint tea with all typical moroccan cookies and meet with your new friends who will look after you from the first until the last minute of your stay in the riad. While feeling our legendary hospitality, give us the opportunity to make your journey unique. 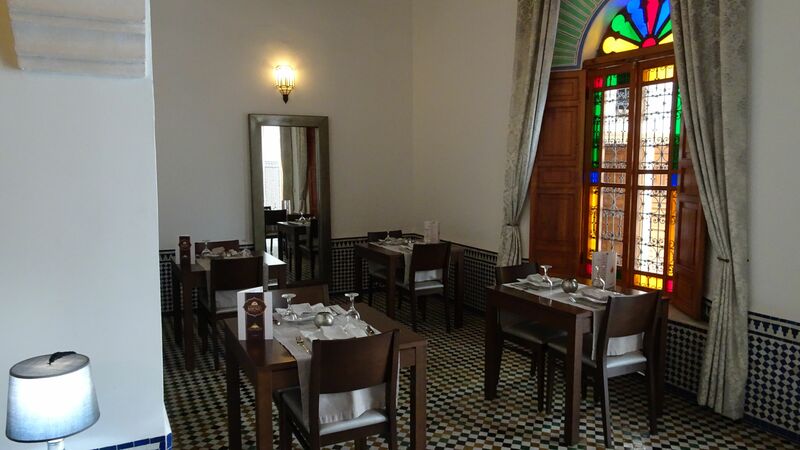 Riad Sabah is situated in the ancient city of Fez in a quiet area near the main street Talâa Kbira, at 5 minutes walking distance from Bab Boujloud, the main entrance of the medina where there is a guarded car park(see the map). 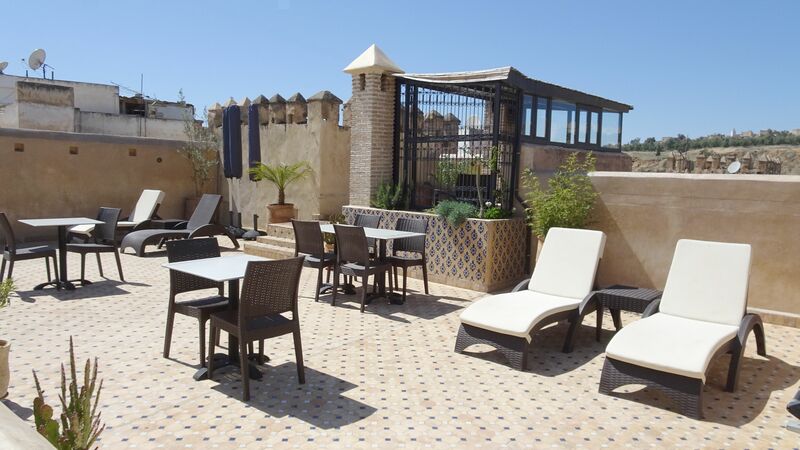 This ideal location allows you easy access to different sites and to visit the medina. 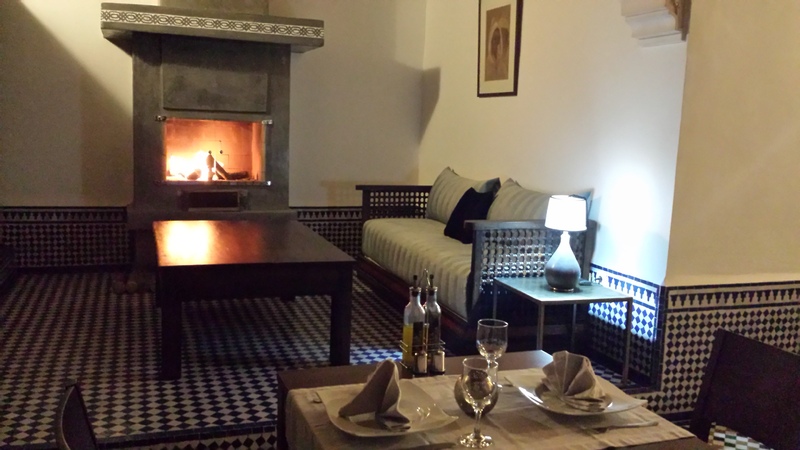 The owners, a french-dutch couple resident already for many years in Morocco, after opening a guest house in Essaouira, acquired and renovated this authentic riad of the 19th century into a charming hotel. Height suites and four rooms are available as well as a lounge, restaurant, hammam, relaxation and massage room and a swimming pool. In this heaven of calm and serenity, you will appreciate the delights of relaxation and the discreet attention of the staff. From the terrace, the city is at your feet, shining brightly at night, ideal for breakfast or a candlelight dinner. 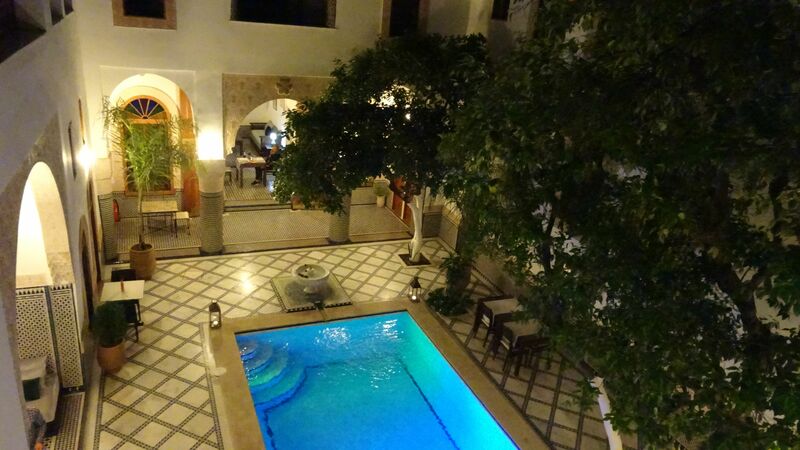 The swimming pool welcomes you just out of bed or after a long day of sightseeing in the medina. 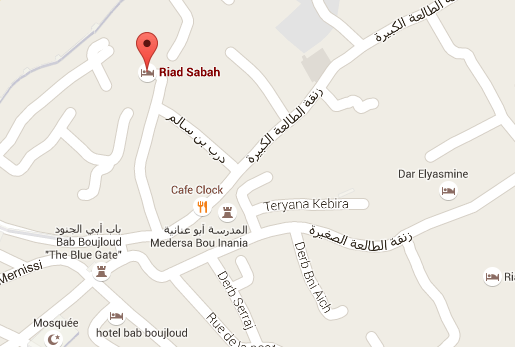 Riad Sabah is is not just a comfortable hotel in the heart of the city. It was built and restored to honor and reflect all the cultures which have enriched the city. Its restoration, which lasted no less than 6 years, has been made using traditional methods and materials, involving master moroccan craftsmen (called maâlems). 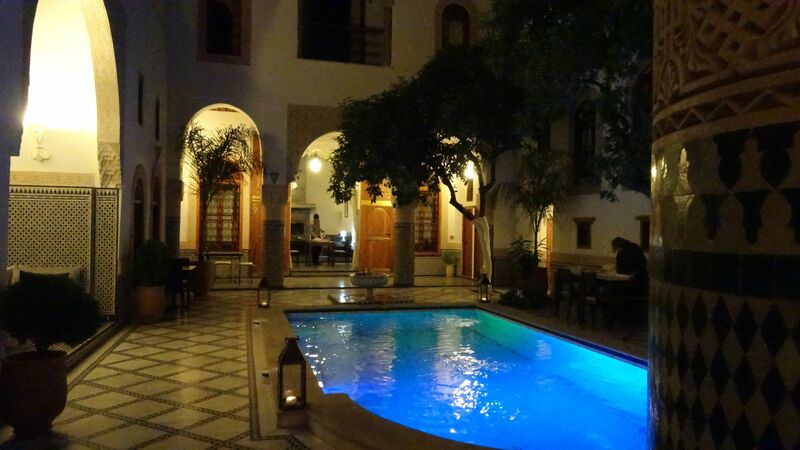 As a reward for these efforts, the riad has been rated " first class guest house". 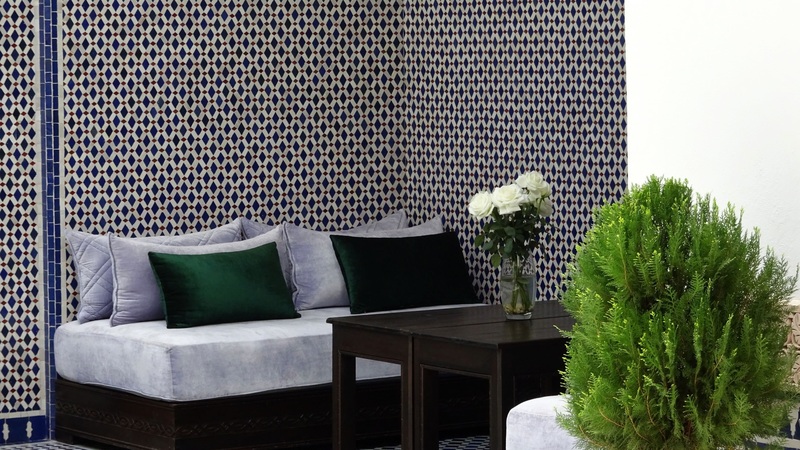 Staying here will help you to appreciate and enjoy the ambience, cuisine and art de vivre of the spiritual and cultural capital of Morocco. 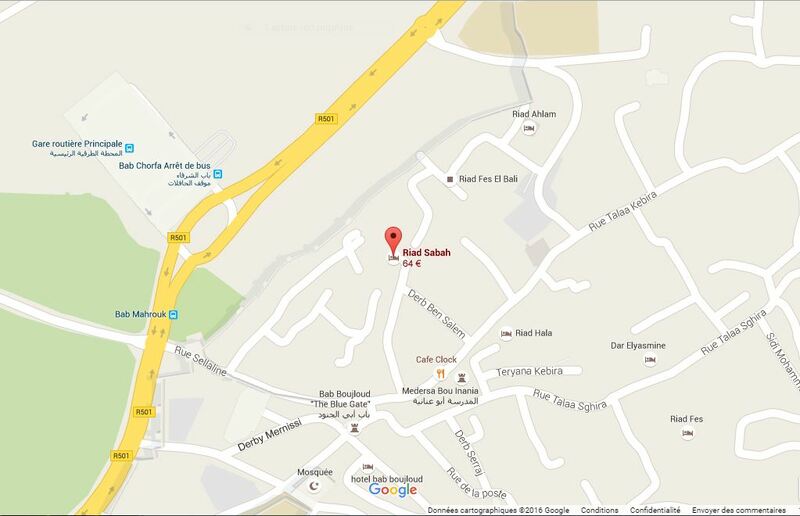 You will certainly have a pleasant stay in Riad Sabah !